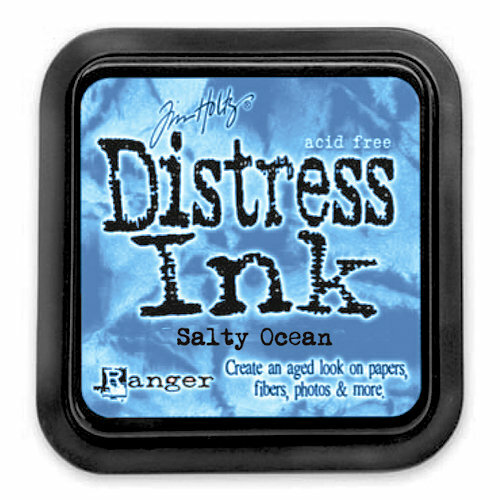 The Salty Ocean Tim Holtz Distress Ink Pad is the perfect blue just like the ocean. 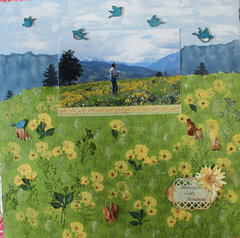 Tim selected the color and helped develop the formula to produce an aged look on paper, photos, fibers, and more. This 2" x 2" pad is made with raised felt so it is easier to use with direct paper techniques. Acid-free, non-toxic, fade resistant, and water-based. The blue is similar to the lid picture above but a little more brilliant without be lighter. It's not neon but it has that sort of energy. I like this blue because it is in the middle, not light, not dark, yet not boring either. 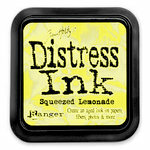 I'm not fond of it with most rubber stamps, though. The color does not have enough punch to hold on its own. 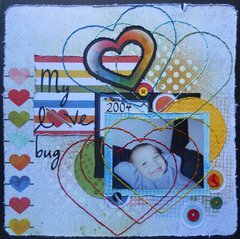 I suppose you could do something nice with a tone on tone rubber stamp. 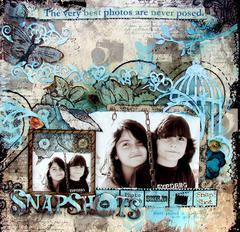 But I do love to use this pad for creating backgrounds with the Ranger tool or a cosmetic wedge. I think this is a nice addition to a collection but not as a first buy. A beautiful deep bright blue! love it!!! Just the most perfect blue and works well with squeezed lemonade and evergreen bough on a white tag. The name is perfect as it reminds me so much of the ocean. 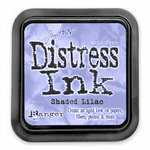 Other sites I like this color of ink pad is never saw.